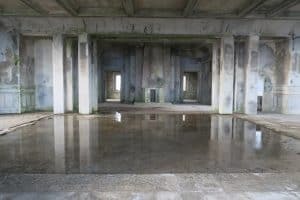 Bokor Hill Station: Is it worth a visit? What is Bokor Hill Station? Who’s calling all the shots? 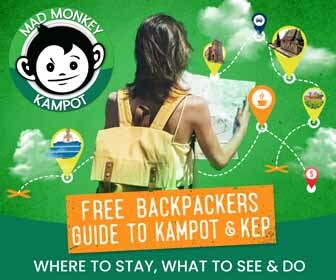 Travelers heading to Kampot, Cambodia will inevitably run into this question as they plan their trip. Why? 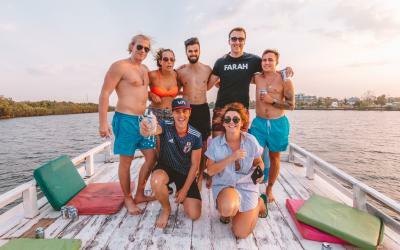 Once you start digging around for tips on what to do in Kampot, you will begin to notice that many reviews of Bokor Hill Station err on the side of recommending not to go. “Past glory.” “Simply not worth the bother.” “Don’t go!” – These are just some of the opinions that will greet you in your searches. 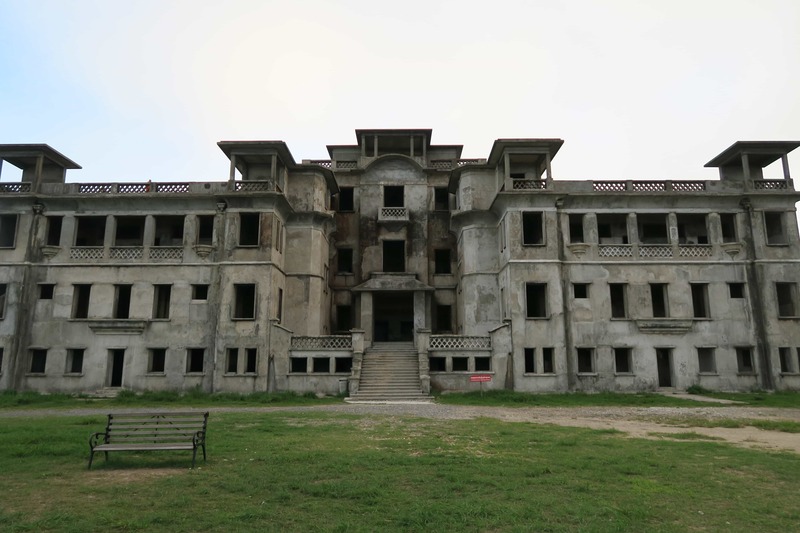 Bokor Hill Station is one of the most significant cultural sights and tourist attractions in the area, but there are a number of people who advocate skipping it. It wasn’t always this way. The whole history of Bokor Hill Station is marred by controversy, from its conception and continual change of ownership, to its contentious “revamp” and the refurbished building that stands today. So what happened? 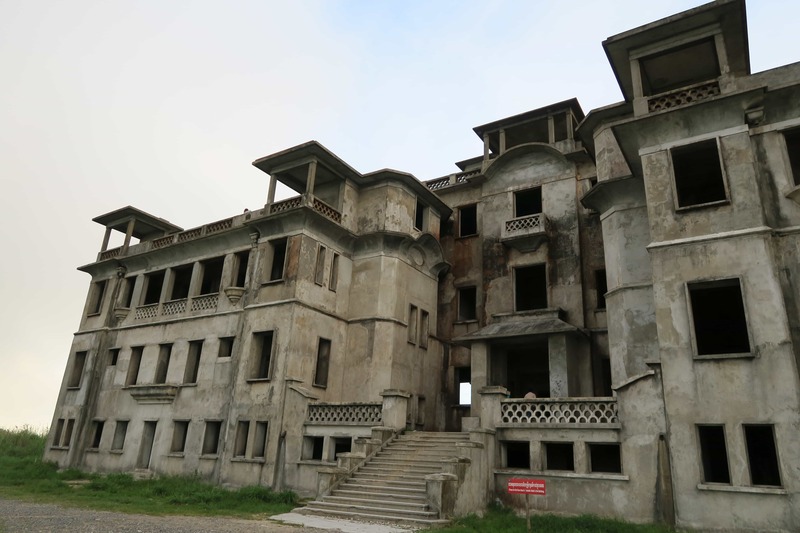 Is it really best to skip a trip to Bokor Hill Station, or will you end up kicking yourself later for not going? Let’s get to the bottom of these questions. 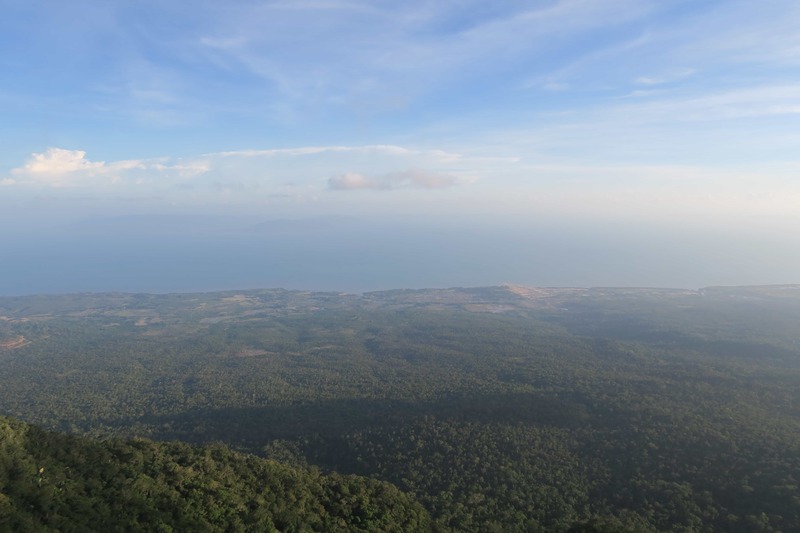 Bokor Hill Station is situated on top of Bokor Mountain in Preah Monivong National Park, Kampot, Cambodia. It was originally built in the 1920’s by the French colonialists who ruled Cambodia at the time. Bokor Hill Station was constructed with the vision of being a luxurious retreat for the colonial residents who wanted to “escape from the heat, humidity and general insalubrity of Phnom Penh,” according to Eric T. Jennings in his book Curing the Colonizers: Hydrotherapy, Climatology, and French Colonial Spas. Packaged as casino and hotel, the building offered patrons a one-stop place to amply feed their vices of gambling and relaxation. The whole operation, however, had a hefty cost for the Cambodian people. The structure was built in 9 months by Cambodian labourers – a mind-bogglingly fast time frame. Little care was given to their safety or well-being, and the project’s death toll was nearly 1000. For this reason the building is said to be haunted by the ghosts of the workers. The ghosts which many believe still swarm the building are a tragic reminder of a time when the lives of Cambodians were considered completely dispensable by their oppressors and not worthy of dignity, even in death. 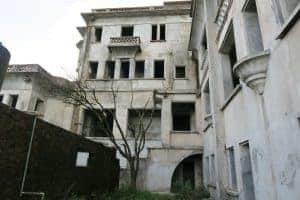 Despite the blood shed to erect this grand building, it has been abandoned multiple times throughout its history. First it was abandoned by the French during the Indochina War in the late 1940’s due to local insurrections guided by the Khmer Issarak. 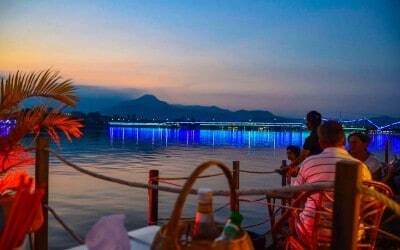 In the 1960’s it flourished again when new buildings and a hotel were added by the lake. It was abandoned again in 1972, though, as the Khmer Rouge rose to power in the area. In the late 1970’s the Vietnamese invaded but the Khmer Rouge vehemently refused to give up the resort town. Bokor Hill was one of the last strongholds of the repressive regime, up until the early 1990’s. Today, it is once again considered abandoned (in loose terms, at least). 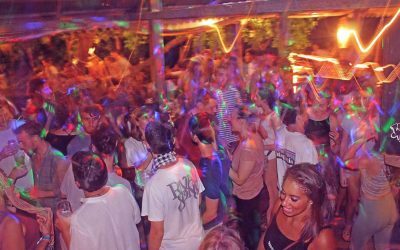 Why do some people recommend against going? That’s a good question, with an unfortunate answer. 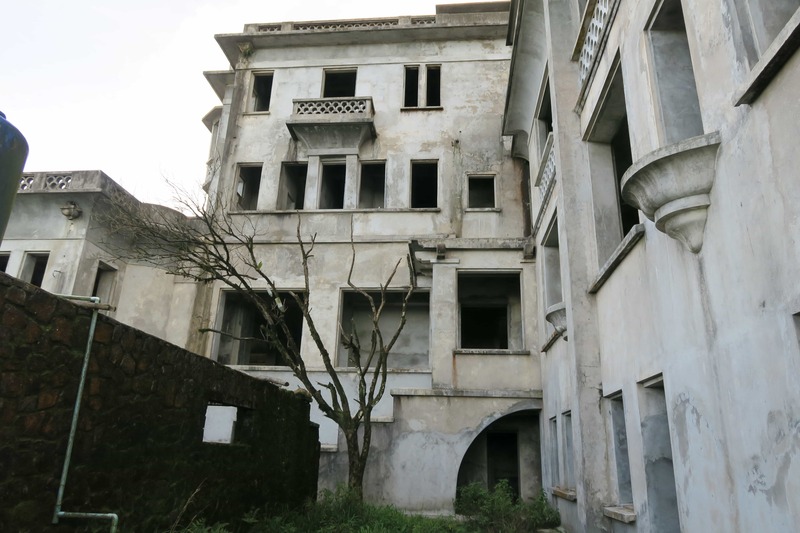 Bokor Hill Station was originally characterized by a grungy, disheveled look that gave it a raw and derelict charm. 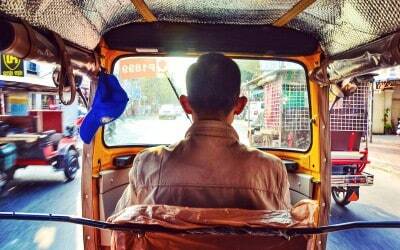 It stood tall with all its shabby allure as a rare glimpse of a period of history long gone. Most significantly of all, its rusted and decaying walls captured its tragic history, and memorialized all the pain and loss that resulted from its construction. Its very presence shouted a cry for the past not to be forgotten, and never to be repeated. However, Bokor Hill Station underwent a controversial “cleaning” and “revamp” a couple of years ago in an attempt to give it new glory. Now, compared to its past self, its exterior looks almost sterile. With its fresh, modern glaze, the shouts of the past have become whispers. 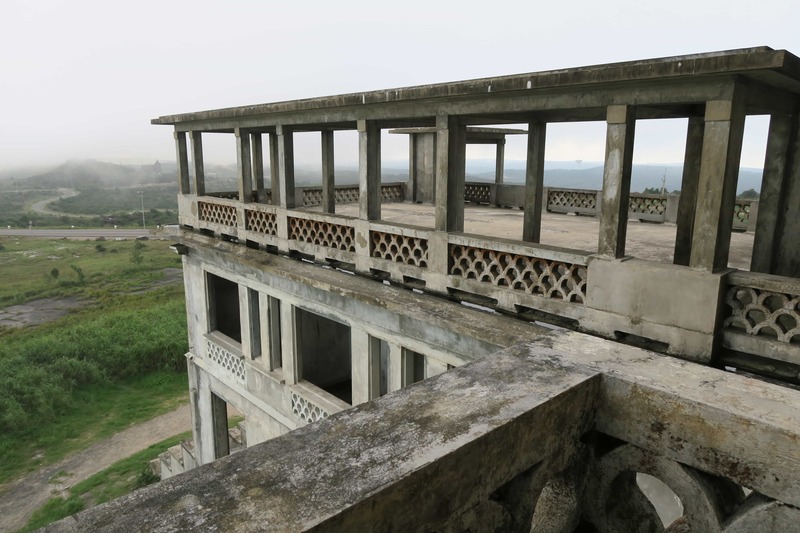 By this act, the original Bokor Hill Station was essentially vanquished. Many argue that the old charm that Bokor Hill Station once exuded has been washed away (quite literally) by the unnecessary restorations. Although the site is owned by the Cambodian government, the Sokimex Group now have a 99-year lease of the area. 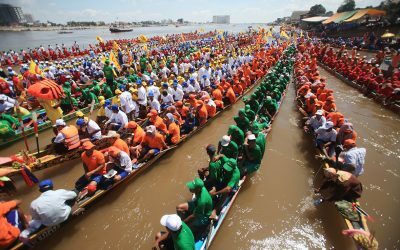 The Sokimex Group is a Cambodian-owned company, founded in 1990, with a number of large investments to its name. Not only is it the largest petroleum company in the country, it is also involved in infrastructure development, hotel management, and the aviation industry. In 2008, Sokimex announced a plan to transform Bokor hill Station into a major hotel and casino complex. This lead to the “beautifying” of the station, and the end result is the revamped building we see today. Sokimex also significantly improved access to Bokor Mountain by widening and leveling the road which leads up to all the landmarks scattered throughout the area. Before it was difficult and dangerous to make your way to and from the mountain, but now anyone can access it easily by motorbike, car, or bus. It’s unclear when exactly these plans will start rolling out, so the future of Bokor Hill Station is hazy at best. 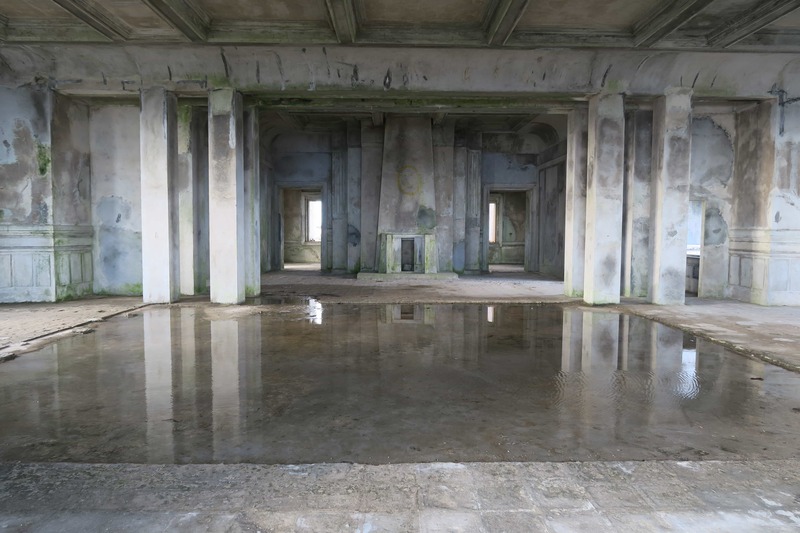 How does Bokor Hill Station look now? If you’re wondering how the building looks now, how about taking a virtual tour around the building? Here’s the Bokor Hill Station that greets you now. Make your way around to the left-hand side and take in the view. Take a step inside now. As you weave your way in and out of each room, you’ll begin to feel like you are gradually being transported back in time. Perhaps the bareness and silence of the room will also make you feel slightly unnerved. As there is no set course to take, feel free to wander around at your own pace. How about taking a walk down this hallway? 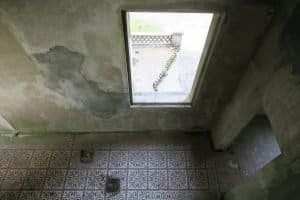 Try to take in all the details, from the patterns in the tiles to the cracks and mildew in the floor and walls. Take a spin around the room and appreciate how wonderfully eerie it is…. Watch out for the pool of water here! Now, how did it even get in? Let’s make our way upstairs to the roof top. You’ll be rewarded with a phenomenal view that will stay with you for days. 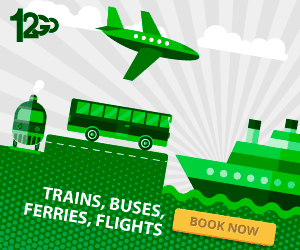 To make the most of the trip, don’t rush it. Slow down, and take your time exploring and devouring the history, details, and life of the building. So, is Bokor Hill Station worth visiting? Your decision whether to visit Bokor Hill Station or not will, of course, will be impacted by your perspective and priorities. 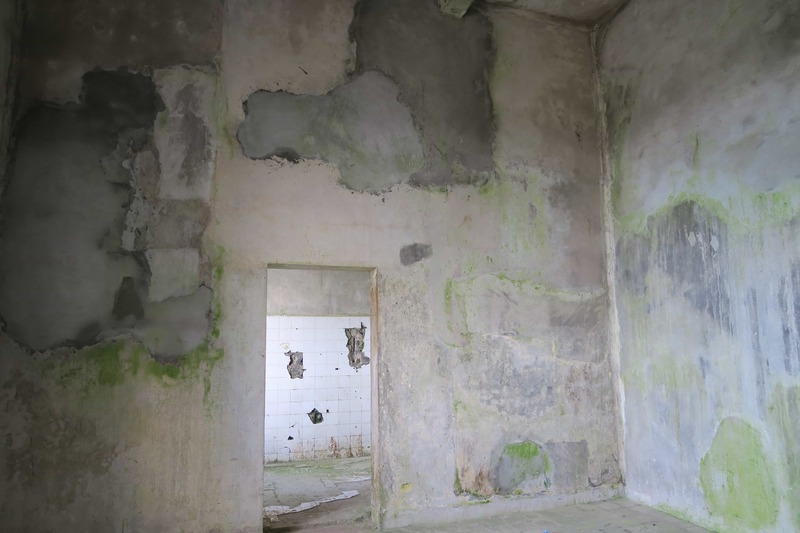 Maybe you think Bokor Hill Station and the surrounding area have been “ruined” by development. 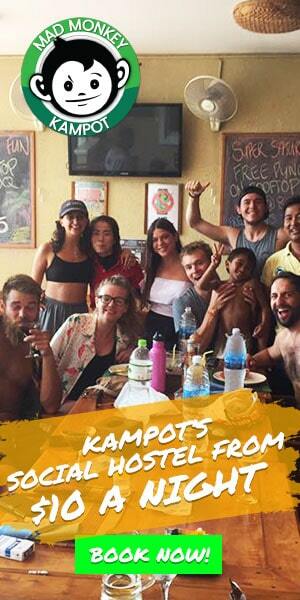 If so, you probably won’t consider a trip up the mountain worth allocating time to during your stay in Kampot when there is so much to do in the area. However, if you were captivated by the images above, chances are you will not regret the trip to Bokor Hill Station. The sights are even more phenomenal in person, as most visitors would attest to. Personally, I would not hesitate to recommend Bokor Hill Station to anyone who’s heading to Kampot. Exploring the station was definitely one of the highlights of my whole Cambodia trip. It was thrilling to weave in and out of the different rooms, study the aged architecture, feel slightly chilled by the eeriness of the building, and reflect on the history steeped in its walls. 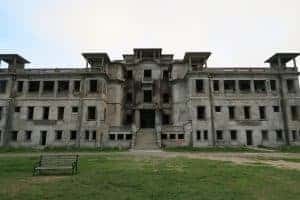 Of course, that isn’t to say that I don’t recognize the terrible tragedy of the ridiculous and unnecessary (in my opinion) restoration that was forced on Bokor Hill Station. 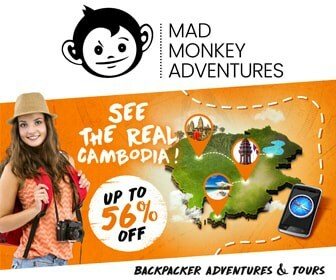 I, like many travelers, am absolutely appalled that such an integral part of Cambodia’s history is being slowly destroyed by corporate greed and a complete disregard for the building’s significance to Cambodia’s people and history. But that should not detract you from going today. In fact, perhaps through our presence as travelers, we can show that this place still has meaning and appeal, even as it is now. The way I conceptualize the whole matter is that the Bokor Hill Station of today is the only one we have, and we might as well show appreciation for it. Regrettably, we can never go back and see it in its true, original glory. So, for better or worse, we must try to appreciate what we still have, and do whatever we can with our power as tourists to help ensure it continues to tell the tale of its past. 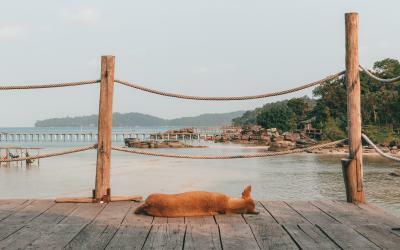 Monica Mizzi is a freelance travel writer and content marketer based in Taipei, Taiwan. Her travel blog, TypingToTaipei.com is a one-stop guide to all things Taipei-related: events, travel, culture, art and lifestyle. Born and raised in Sydney, she first experienced the wonders of expat life in Oita, Japan. Her move to Taipei has fortunately allowed her to continue pursuing her dream of traveling the world, and was in fact the catalyst for discovering her penchant for writing. You can check out a selection of her works on her online portfolio.